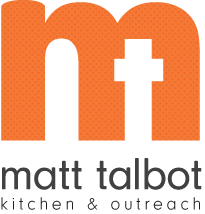 Matt Talbot Kitchen & Outreach serves over 100,000 hot nutritious meals annually to the working poor and homeless in Lincoln. To help meet the needs of the individuals and families served, the local faith-based hunger relief and outreach program is encouraging local groups to join the team and help MTKO tackle hunger by participating in the national Souper Bowl of Caring on February 7, 2016. Souper Bowl of Caring is an ecumenical movement that empowers congregations, schools, and businesses to collect dollars and food for local charities. Since 1990, groups throughout the country have teamed up around the time of the Super Bowl to be a champion for their neighbors in need. What started with 22 churches has grown to almost 6,000 participating groups nationwide. All collections are donated directly to the charity of choice. MTKO has participated in the Souper Bowl of Caring for 17 years. Funds collected through this event support the daily feeding program and homeless prevention services at Matt Talbot. "The Souper Bowl of Caring has always been an inspiring event for Matt Talbot Kitchen & Outreach," said MTKO Executive Director Susanne Blue. "The support of faith-communities in Lincoln and surrounding areas truly helps sustain our feeding program. On Super Bowl Sunday there will be food and fun for those watching the game. But there will also be people struggling to feed themselves and their families. Matt Talbot is here for those individuals and families who are struggling today and every day of the year." MTKO is hoping to collect $25,000 this year through the Souper Bowl of Caring event. Donations will be collected after church services throughout Lincoln and the surrounding area on Super Bowl Sunday, February 7th. For more information about the Souper Bowl of Caring effort and how you can make a donation to benefit Matt Talbot Kitchen & Outreach, please call Event Coordinator Vicky Drozd at (402) 817-0619 or visit www.mtkserves.org.